US Intel Chief: No 'Coherent Strategy' to Thwart 2018 Russian Election Meddling - Integration Through Media ....! 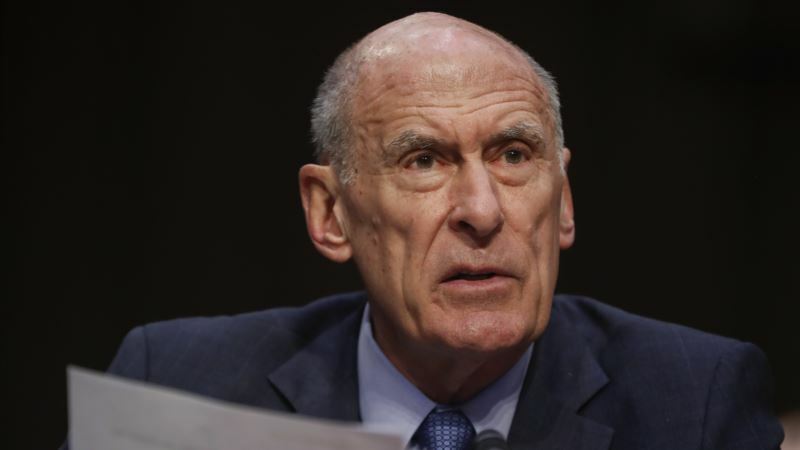 (VOA): U.S. intelligence chief Dan Coats said Tuesday the U.S. government has yet to put in place any "coherent strategy" to thwart any Russian interference in the November congressional elections, even though it is "highly likely" that Moscow will engage in a campaign of disruption, just as it did in the 2016 presidential election. Coats told a Senate Armed Services Committee hearing on worldwide threats that several U.S. agencies are "well aware" of the need for the government to protect against Russian election meddling in the U.S. But he was stumped when Sen. Mazie Hirono, a Hawaii Democrat, asked him, "Why do we not have a whole-in-government strategy in place?" "We understand it has to be addressed," Coats said. "I don't have a specific answer to your question." Hirono replied, "The conclusion is that this is not a top priority" for President Donald Trump after the U.S. intelligence community concluded that Russia's 2016 election meddling was aimed at helping him defeat his election challenger, Democrat Hillary Clinton. Coats, the director of national intelligence, said the U.S. has to date "not seen evidence of a robust effort yet on the part of Russia, but we know their malign activities continue to exist. It's highly likely that they will be doing something. We just don't know how much and when and where." Coats said that as soon as next week, he expects the U.S. Treasury to announce sanctions against 13 Russians accused by Special Counsel Robert Mueller of interference in the 2016 election. Russia has rejected playing any role in the U.S. election, but the U.S. intelligence community has concluded it was personally directed by Russian President Vladimir Putin. Trump has called several U.S. probes into whether his campaign colluded with Russia a "witch hunt" and an excuse by Democrats to explain his upset victory over Clinton. Coats told the lawmakers, "We assess that Russia is likely to continue to pursue even more aggressive cyberattacks with the intent of degrading our democratic values and weakening our alliances. Persistent and disruptive cyber and influence operations will continue against the United States and European countries and other allies." He said Moscow will be "using elections as opportunities to undermine democracy, sow discord and undermine our values." The intelligence chief said that "Russia perceives its past efforts as successful and views the 2018 U.S. midterm elections as a potential target. We continue to see Russian activities designed to exacerbate social and political figures in the United States. In the next year, we assess Russia will continue to use propaganda, social media, false flag personas, sympathetic spokesmen and other means of influence to try to build on its wide range of disruptive operations.” VOA's Jeff Seldin contributed to this report from the Pentagon.